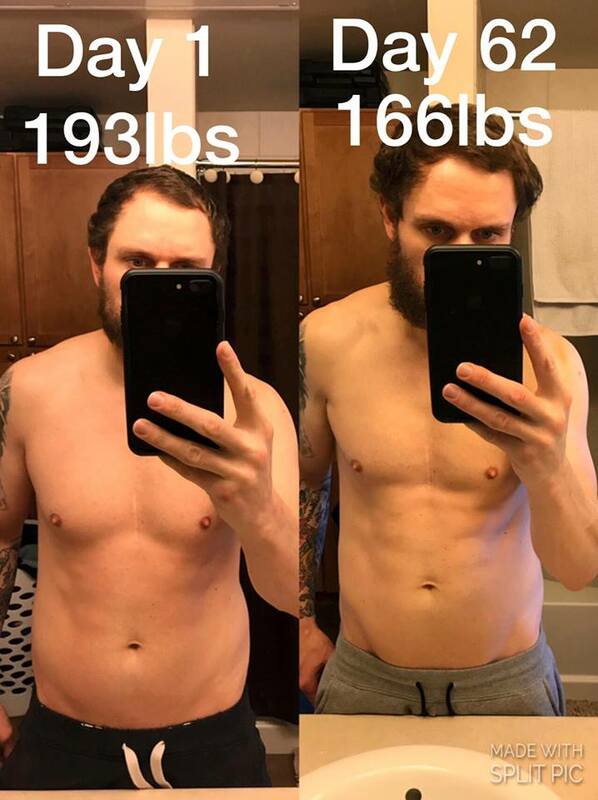 Anthony Howard-Crow, a 32-year-old stunt dieter and YouTuber from Loveland, Colorado, recently underwent an unusual diet in order to prove that you can eat pretty much anything and still lose weight as long as you keep an eye on your calorie intake. For 100 days straight, he ate only ice cream, drank a small protein shake and some alcohol, and still managed to drop 32 pounds. Ever since starting his Abs & Ice Cream YouTube Channel, back in 2011, Howard-Crow has been trying to prove that weight loss ultimately comes down to how many calories you put into your body and how many you burn. It doesn’t matter if you eat chicken breast and brown rice, or only fast food, as long as you consume less calories than you burn, you’re going to lose weight. His first stunt dieting experience was a 30-day diet in which he got 50 percent of his daily calories from ice cream. Work forced him to end the experiment sooner than he anticipated, but he still managed to lose 2 pounds a week and get some ripped abs in the short time he stuck to the extreme eating regimen. Later, he tried a 30-day diet where he only ate fast-food products and again ended up losing 2 pounds per week and with some shredded abs. However, Anthony still felt that he wanted to finish the ice-cream experiment that he had opened his YouTube channel for, so in January of this year, he came up with an even more extreme version of it – 100 days of eating only ice cream and drinking protein shakes and alcohol. You’re probably wondering why he included alcohol in his diet. According to a dieting myth, a person can’t lose weight if they drink alcohol, which the Colorado stunt dieter says is completely untrue. So, in order to prove that it is only a myth, he decided to include the occasional glass of liquor to his already strange diet. Anthony’s 100-day diet began in January, and ended last month, with some interesting results. During that period, he kept a close eye on his calorie intake – 2,000 calories a day of ice cream, combined with 500 calories from protein powder and/or alcohol. At the end, he was 32 pounds lighter than when he started, and despite the seemingly unhealthy diet, his medical tests showed that he was healthier. After eating 2,000 calories-worth of ice cream every day, for 100 days, Anthony’s blood lipids all improved, his HDL cholesterol (the good one) was higher, the LDL cholesterol was lower, and he had dramatically lowered the level of his triglycerides. Most surprisingly, despite all the sugar he put in his body, his glucose level slightly declined too. Weigh loss and obesity specialist Spencer Nadolski says that although the improvements may seem surprising, they are actually quite normal. “With weight loss, a lot of these things improve regardless of the underlying issue,” he told Men’s Health. 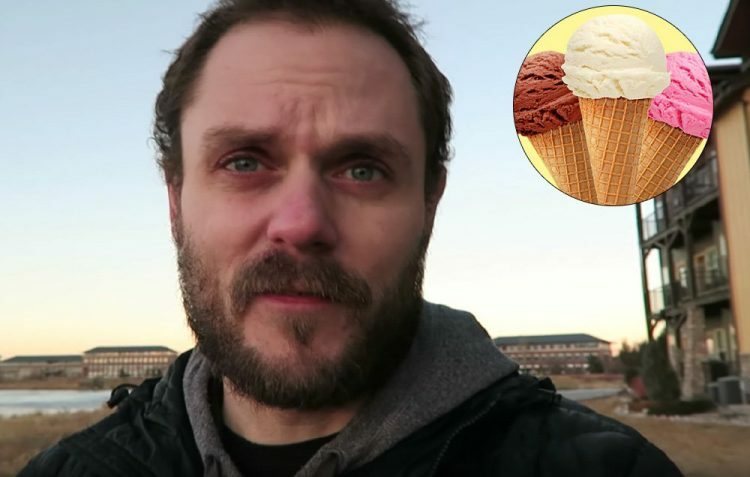 This ice cream diet sounds like a blast, but Anthony Howard-Crow swears that it was the worst diet he has ever tried. He wasn’t even halfway through the 100 days when he started losing interest in everything and feeling tired all the time. The dieter told Men’s Health that he used to spend 4 to 7 hours every day working on his YouTube channel, but could only manage to put in a few minutes a day, during this period. He even stopped going to the gym during the last month, because he didn’t have the energy or ambition for it. Also, despite losing an impressive 32 pounds, Howard-Crow reports that a lot of it was muscle, not fat. 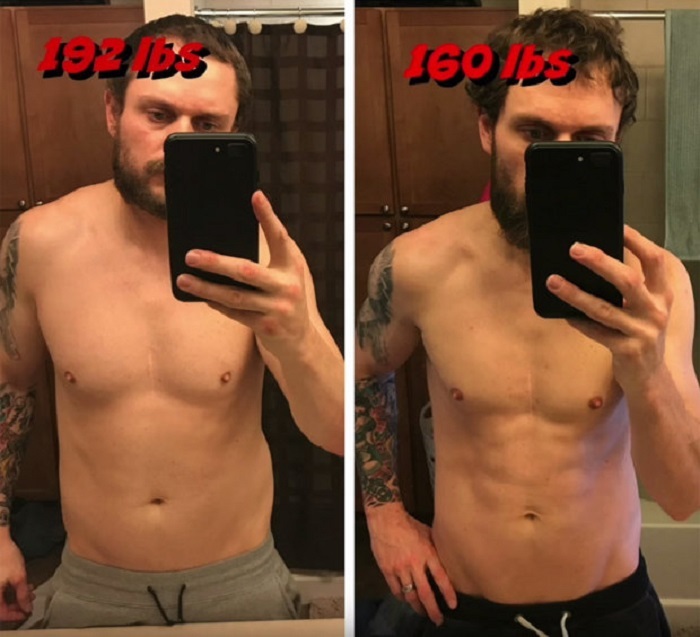 “I was still not extremely lean,” he says, and you can see that by looking at the before and after photos he posted on his Instagram account. He attributes the muscle loss to several factors, including eating below his maintenance level, quitting his gym routine in the last month, and consuming very few proteins. 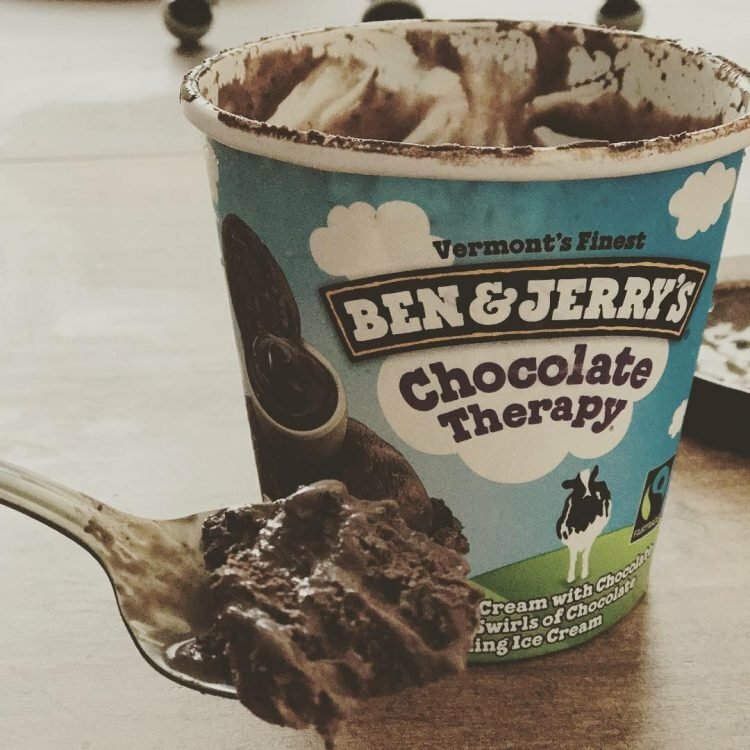 “The message here is not that this is an ideal diet to permanently sustain, the message is specifically to show how an energy deficit overrides specific food sources when it comes to weight/fat loss,” Anthony said, adding that despite feeling miserable through more than half the ice-cream diet, this was definitely not his last stunt diet. So expect to see even more crazy experiments from him. Anthony Howard-Crow isn’t the first person to prove that it’s not what you eat, but how much you eat, to lose weight. Three years ago, we wrote about John Cisna, a professor from Iowa, who managed to lose 37 pounds eating only McDonald’s fast food for 90 days.